Guess what? Tis’ the season and I’m feeling merry! So merry that I’m giving away FIVE advance paperback copies of my debut novel, Fatal Reunion on Goodreads! All you have to do is click the “enter giveaway” button for a chance to win. U.S. only. *see giveaway details for more information. The giveaway is going on today through Wednesday, December 30th! Share the love and tell your friends! 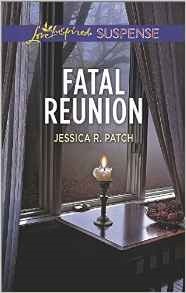 ONE FREE ADVANCED COPY OF FATAL REUNION!